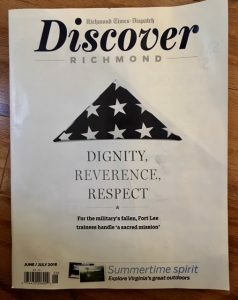 That I am a fan of the Richmond Times Dispatch periodic publication Discover Richmond is no secret, given that I’ve written about it before. 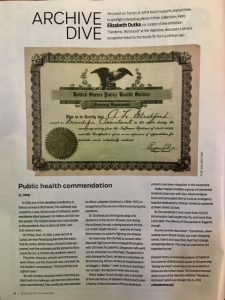 The recently published June/July 2018 issue is especially relevant for writers. 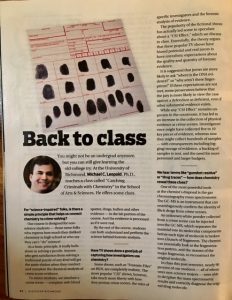 For mystery writers the “Back to class” article is right on target. 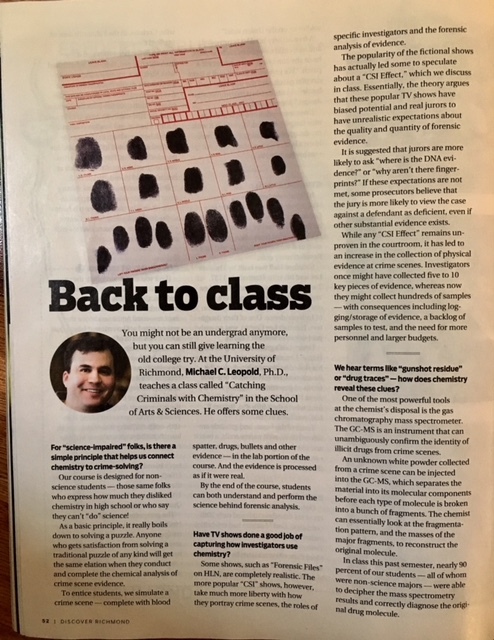 Michael C. Leopold teaches a class at the University of Richmond titled “Catching Criminals with Chemistry”—which is a relevant bit of info in and of itself. 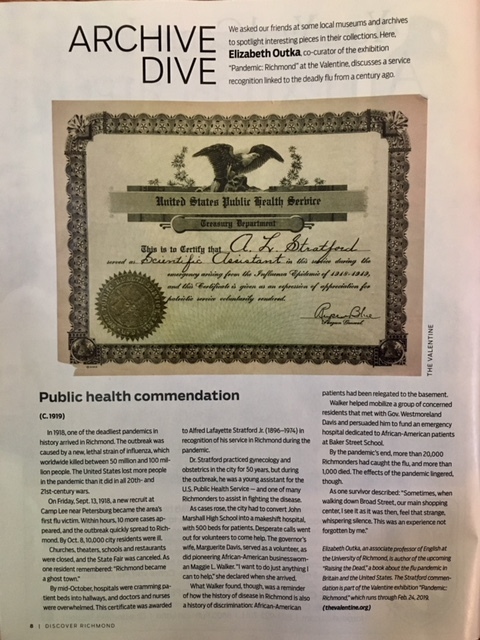 Also, this short (2 p.) article mentions several examples of the chemistry-crime solving connection, including how chemistry reveals clues through analysis of gunshot residue and drug traces. Also, much to my surprise, fingerprint matching is still done by human experts, not computer images. AND the article raises interesting questions, such as, “Does this partial match give police the right to investigate potentially innocent family members—or collect their DNA samples—just because they are related to a felon in the database?” A short but excellent read. 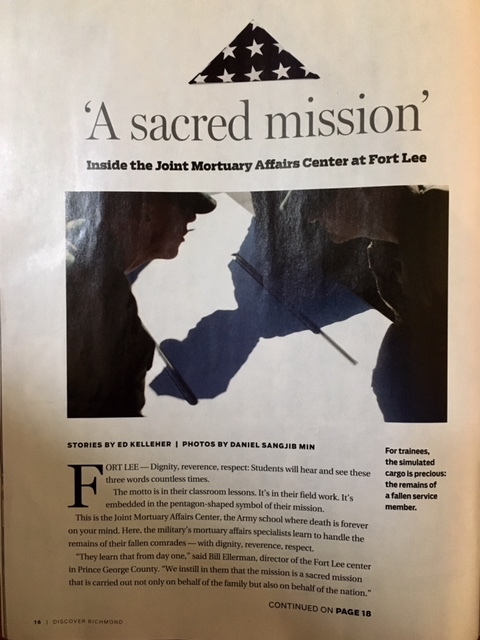 Potentially relevant to any writer is the long article about the Joint Mortuary Affairs Center at Fort Lee, where the Army teaches those enrolled how to handle the human remains of soldiers—with dignity, reverence, and respect. These three words are emphasized in the article—which immediately leads to many possible story lines in which they are violated or ignored. On the other hand, if you want to know how it’s done properly, read on. For example, enrollees practice carrying a weighted casket-like case to master a dignified transfer ceremony. 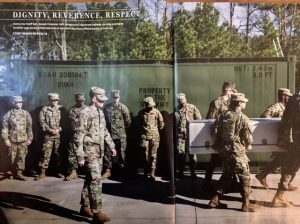 Interestingly, 95% of the Army’s mortuary affairs specialists volunteer for this duty. The Marine Corps requires its specialists to be volunteers. What sort of person would so volunteer? What’s the motivation? Because the work is so “grisly and grueling” those working in mortuary affairs are given many opportunities for mental health and/or religious support to deal with the emotional strain. The article features real people, both trainees and teachers, and gives a concise summary of mortuary affairs in the military. For those who write historical fiction and/or nonfiction—or whose plots include references to past events—this issue of Discover Richmond is a gold mine. The Archive Dive is just that. 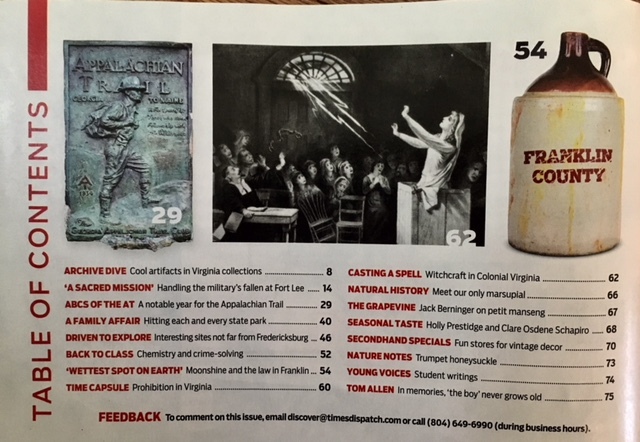 It pictures interesting artifacts in various Virginia collections, from Colonial times to WWII. 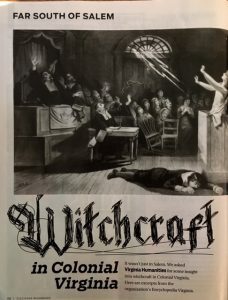 And speaking of Colonial times, I had never made a conscious connection between our English roots and witchcraft. And when considering witchcraft in the colonies, my mind went immediately to Salem, MA. 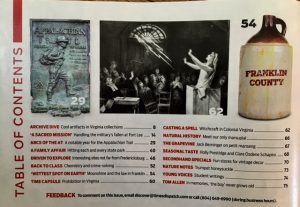 But the earliest witchcraft charges in Virginia were made in September, 1626. 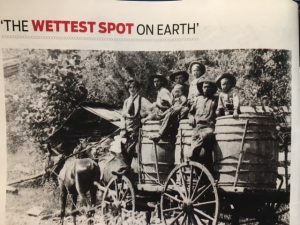 The article describes the case of Grace Sherwood, who did not drown during the water test, and therefore she was convicted and put into prison. Apparently Virginia courts were reluctant to kill witches, unlike Massachusetts where nineteen so-called witches were executed in one year (1692). 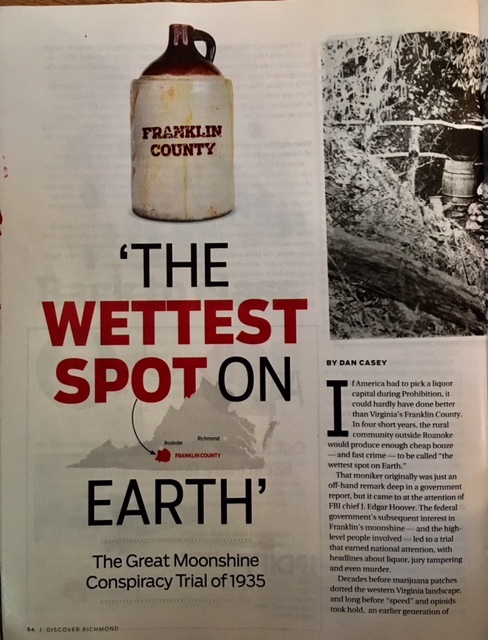 Having written a novel set in Bath County in 1930-1935, which included an element of bootlegging, I was particularly interested in “THE WETTEST SPOT ON EARTH” about moonshining during Prohibition in nearby Franklin County. All of this eventually led to national interest and a trial of 34 defendants, 55 unindicted co-conspirators with literally hundreds of witnesses. Much was written about liquor, jury tampering, and murder. It seems Sherwood Anderson wrote about it for Liberty magazine. 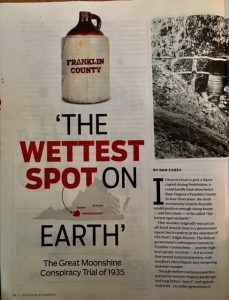 Similarly, for sugar, Anderson wrote, “There were said to be single families in the county that used 5,000 pounds of sugar a month.” And the county consumed more than 600,000 five-gallon cans, which would hold a total of 3,501,115 gallons of moonshine coming from this one county. Have I said enough to entice you to read this great article? 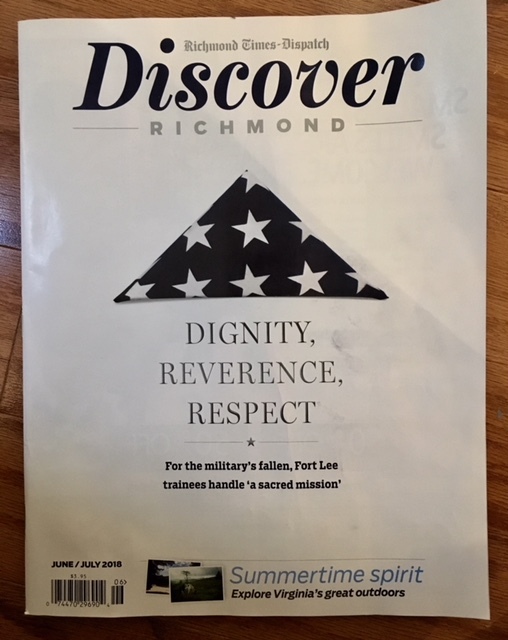 This issue of Discover Richmond includes many articles I haven’t even mentioned, from the Appalachian Trail to second-hand storestrumpet honeysuckle. Read it. You’re sure to find something of interest and probably something of use for your writing.